The Mathematics Trainers Guild, Philippines will celebrate its 10th Anniversary on October 21, 2005. A grand celebration awaits all past and present members of the MTG family at the Century Seafood Restaurant, Ground Floor, Century Park Hotel, Malate, Manila at 7 o’clock in the evening where Awarding and Recognition of MTG achievers and supporters shall be honored for their contributions and involvement in making MTG an admirable non-profit institution. 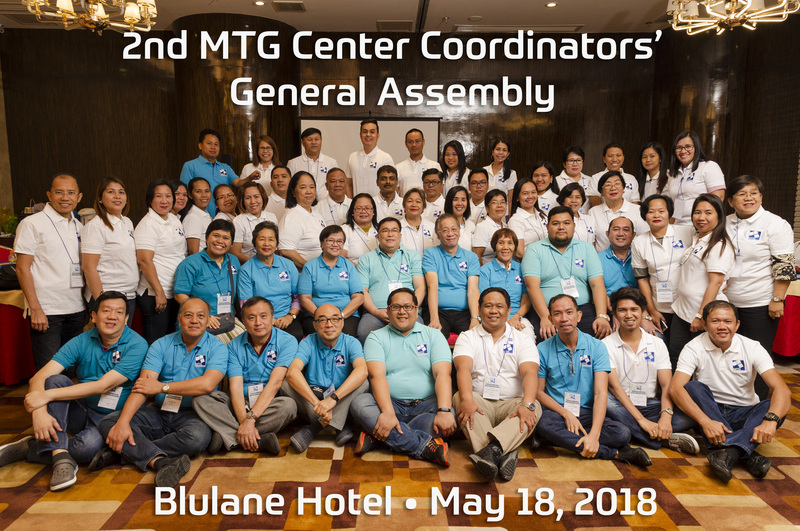 The organizers of the MTG 10th Anniversary Celebration invite all public and private MTG whiz kids, math teachers and coordinators, MTG parents and friends to be part of the grand reunion and festivity. Those who are interested to attend the DINNER PARTY, may contact and inquire the dinner tickets from Mrs. Mary Dy at tel. #. (02) 252 2196 or mobile # 09194009579. On the other hand, all MTG Kids from public schools may inquire regarding the DINNER TICKET from Dr. Eduardo Dela Cruz or Mr. Frederick at their landline (02) 734-7371 local 311. The raffle tickets contain great prizes: A round trip ticket for Hong Kong, A tour to Boracay and/or Palawan and other major appliances and personal items. A seminar for mathematics teachers at Bayview Hotel will highlight the celebration where prominent international mathematicians have been invited to be speakers/lecturers. They are Dr. Peter James Taylor, Executive Director of Australian Mathematics Trust (ATM); Dr. Andy Liu, Professor of Department of Mathematical Sciences, University of Alberta, Canada; Prof. Wen-hsien Sun, President of Chiu Chang Mathematics Education Foundation, Taipei, Taiwan; Prof. Qiu Zonghu, Vice Chairman of Chinese Mathematical Society Olympiad Committee, Beijing, China and Prof. Pinky Leung Sui Ping, Principal of Hong Kong mathematical Olympiad School, Hong Kong, China. On the other hand, a half-day FREE Mathematics Seminar for high school and elementary students shall be conducted at the Chiang Kai Shek College on October 21, 2005 from 8:00 o'clock to 12:00 noon. Reservation of limited slots is a FIRST COME FIRST SERVED BASIS. For more inquiries, get in touch with Jeng, the secretary of Gina Guerra at tel. # (02) 873-3118 or mobile # 09176243106. So… come on and be a part as history unfolds for Mathematics Trainers Guild, Philippines!!! Let’s make it a date!!! See you around!! !